Vibe: Are you trying to break out on your own? 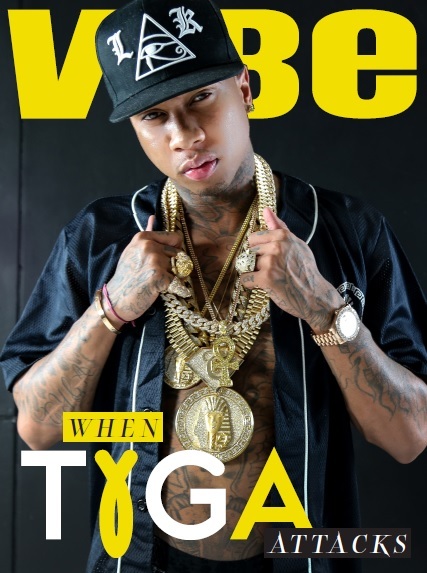 Tyga: Yeah, I’m tryna’ go independent. I don’t really get along with Drake. I don’t really get along with Nicki. Tyga: I don’t like Drake as a person. He’s just fake to me. I like his music; you know what I’m saying? I think his music is good, but we’re all different people. We were forced together and it was kinda’ like we were forcing relationships together. It is what it is. But I been friends with Chris [Brown] for like six years. That’s my real genuine friend. We hang out all the time. He lives up the street from me, so we don’t just do music we hang. I think being signed to Young Money, everybody felt like they had to force a relationship ‘cause Wayne put us together. At the end of the day the reason why I signed to Young Money is because of Wayne. Not because of Drake, not because of Nicki. It was because of Wayne and my relationship with him. I try to be cool with everybody, but sometimes, everybody just has different personalities, motives, and different characters. When you realize that, you realize that’s not a place where you want to continue to grow.